Xmetrics is the world's first activity tracker for swimmers with real-time audio feedback & bio-mechanical data analysis. 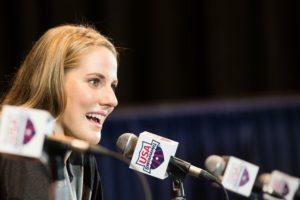 Xmetrics is a startup with a great new product that is the first of its kind in swimming history. Swimmers’ dream is to have an easy to use device to keep tracks of their performance, such as laps, time count, frequency monitoring etc. 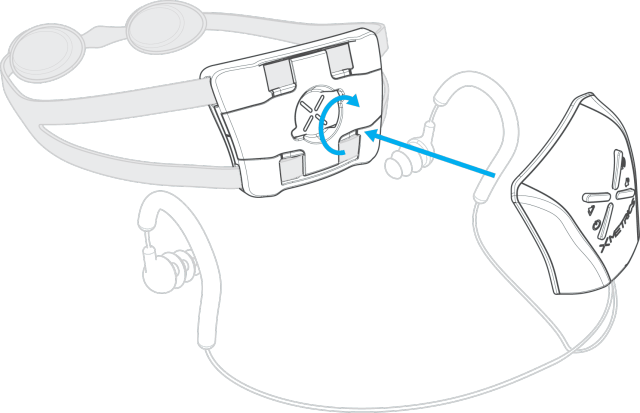 With Xmetrics this dream comes to reality: fixed at your goggles, just on the back of your head, it provides a customizable real time audio feedback directly while swimming. “Hi I’m Andrea cofounder of Xmetrics. 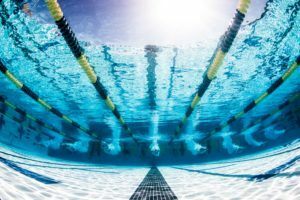 As former professional swimmer and swim coach, I always found it extremely difficult to monitor the performance of myself and my athletes in an accurate and automatic way while training in a chaotic swimming pool. I wanted something more than a lap counter. I wanted a virtual coach! “So I decided to take my electronics background, recruited some of my like minded geeky friends and started working on a solution. I had to work a lot on that with Davide, who graduated in Telecommunication Engineer with me, to patent the device. The team then started to grow to realize the first working prototype, to collect data data from the same athletes I was coaching few months before : Emanuele and Stefano jumped in the boat to take care of the hardware and firmware development. 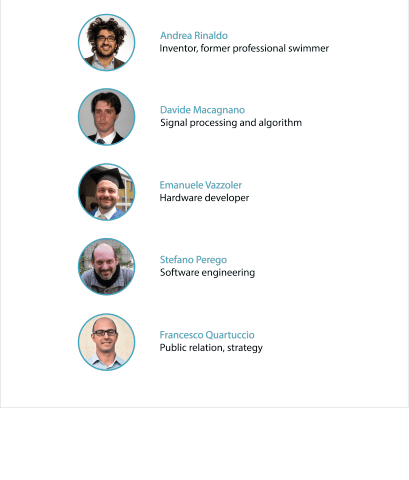 Francesco was the last one to join the project, in order to carry on his marketing experience he developed in years as marketing manager in a multinational company. Everyone told us it was going to be impossible to create a device that was easy to use, comfortable to wear, and powerful enough to do everything we wanted. It took us several months , but I am pleased to say we have created the most advanced piece of swimming technology on the planet. Allow me to introduce you to Xmetrics, it’s engineered to record all aspects of your training session including number of strokes, number of laps, quality of your flipturn, your heart rate and more. But we didn’t stop there, this device also provides real time audio feedback through our waterproof speaker directly to you while swimming. That’s right, you no longer have to wait to get out of the pool to see results. Our desire was to completely innovate the way you master your swimming training sessions. 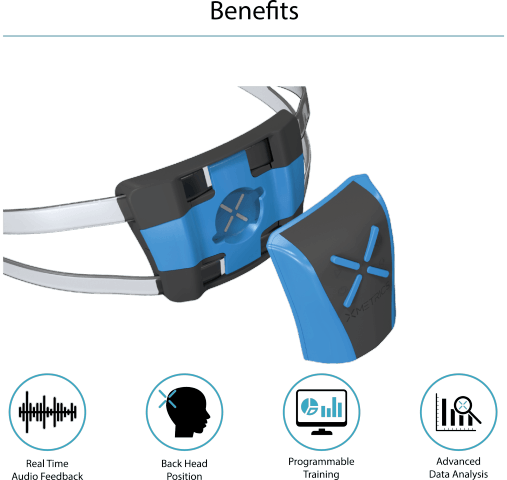 Xmetrics is a wearable device that can be worn on the back of the head, extremely ergonomic and lightweight. Once clipped at goggles we can easily start swimming without having to worry about pushing any buttons: we wear it and forget to have it. 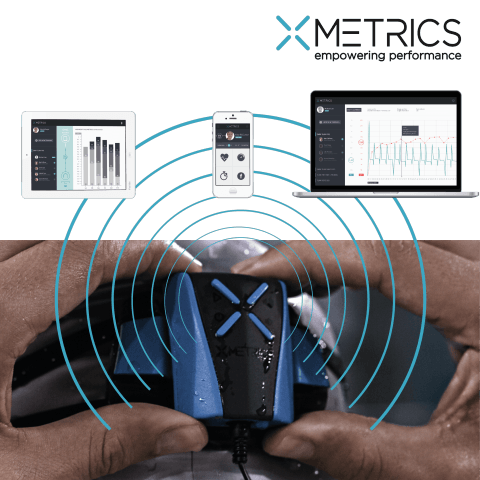 Xmetrics records any single biomechanical parameters such as the number of strokes, time per lap, efficiency of your swimming technique and the quality of your flip turn providing a real time audio feedback via an earplug. Thus, we can have the feedback directly while swimming without having to wait the end of the training session. After that, we can analyze and share with our friends or a professional coach our data out of the swimming pool throughout software and apps, developed for mobile devices and personal computer. Xmetrics is our personal trainer who will follow us in every step of our workout activity. Xmetrics is open to all swimmers, professional or not, who wish to enhance their training experience in the swimming pool. Real time audio feedback: thanks to its innovative position is now possible to give a real time audio feedback directly while swimming through an earplug any time they make a flip turn or they stop swimming. Back head position: this is the first time that an activity tracker for swimmers is positioned on the back of the head: and this is the best position to gather more and more accurate swimming data. In addition, swimmers aren’t bothered by anything that drags on their wrist or fixed in uncomfortable position. 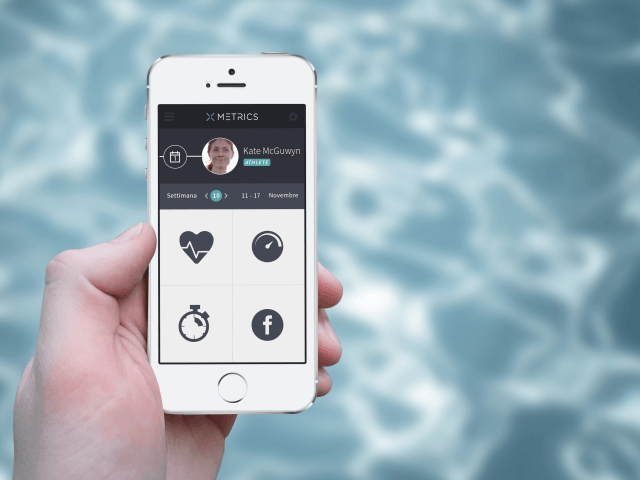 Programmable training: swimmers can program their training schedule on the Xmetrics App and Sync it with their device. In this way swimmers can customize according to specific needs the audio feedback. For instance, swimmers can decide to hear only a beep during the first 10 minutes warm up or time per lap any two laps. For more examples on audio feedback, please read our FAQs. Advance data analysis: along with data about number laps/strokes/turns automatic stopwatch, swimmers can analyze in detail their training parameters at the end of the training session. 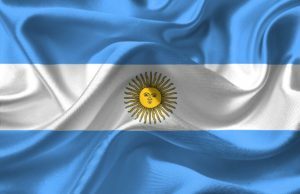 The software will provide accurate and easy to read analysis. Swimmers can have a further feedback sharing these data with coach or friends. Xmetrics is not only an activity tracker but also a powerful software that gives you the possibility to analyze your training data after your training session. Anything is shown in a very easy to use way. Swimmers can customize their view in order to have always under control the parameters they need most. Moreover, we have developed a specific tool, that we are providing to swim coaches for free to manage in any single aspect their teams: from the monthly to the weekly and daily schedule of the trainings, with a full detail and recap of any different kind of works proposed. In this way they can keep records of any group or single athlete they are coaching, withouth worrying of losing data. Once the training is done, data from the swimmers is automatically shown also on the coaches app. Xmetrics will be launched along with an app, free to use with you iOS/Android/Windows mobile operating system. Based on our experience as swimmers we have decided to develop two different products: Xmetrics PRO, for professional swimmers and their coaches that need to master their training session and Xmetrics FIT, the perfect and affordable device that brings the experience of an olympic training system for everyone. Xmetrics FIT provides a real time audio feedback at fixed intervals, it tracks laps, strokes, times, swim efficiency and it comes with a multiplatform app to review, analyze and share through the social networks your data. Xmetrics PRO provides, in addition, a fully customizable audio feedback; possibility to share and review data with your coach or a professional coach; get a training schedule directly on your App/page and sync it to your device by a professional coach or your coach as well; more views for data analysis; more colors to customize your device. The Xmetrics indiegogo campaign is live NOW. Read more about Xmetrics here. Follow Xmetrics on Twitter here. Like Xmetrics on Facebook here. thanks for your question. You definitely can do what you are looking at. From your app you can program each device for any swimmer or group of swimmers. They will hear the feedback you want them to hear and once the training session is done, all the devices will sync with your app so you can have all the results from your team. Please note that audio feedback is not only a beep. Athletes can hear for instance the time (“50 meters, 32.4 seconds”). Yes, you can definitely do what you are looking for. You can program any sngle athlete’s device or a group at the same time. You can then sync all the device with your app on your tablet, smartphone or pc to analyze in a second time the performance of the team. note that you can set different kind of feedback. Athletes can hear the time at any split (“50 meter, 32.4 seconds”) but you can also set the strokes freequency, hearing a beep at a freq of 80strokes/minute.